Chemist Paul Cherukuri of Rice University, who led the team that made the discovery, thinks the research sets a clear path toward scalable assembly of nanotubes from the bottom up. This force-field effect on matter had never been observed on such a large scale, says Cherukuri, and the phenomenon was unknown to Nikola Tesla, who invented the coil in 1891 with the intention of delivering wireless electrical energy. The researchers discovered that the phenomenon simultaneously assembles and powers circuits that harvest energy from the field. 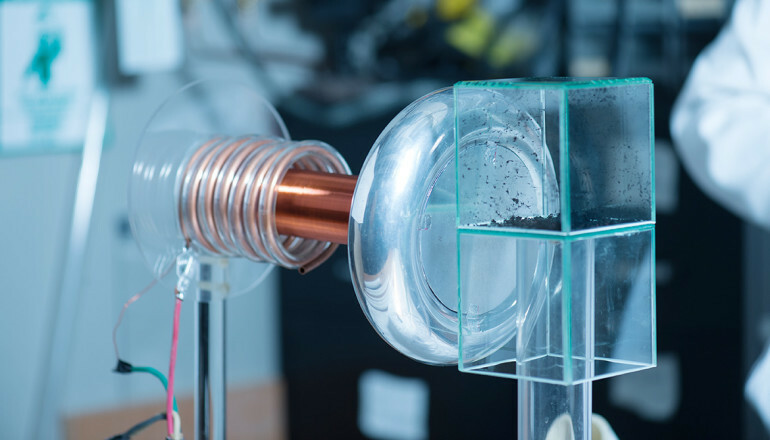 In one experiment, nanotubes assembled themselves into wires, formed a circuit connecting two LEDs, and then absorbed energy from the Tesla coil’s field to light them. Cherukuri realized a redesigned Tesla coil could create a powerful force field at distances far greater than anyone imagined. His team observed alignment and movement of the nanotubes several feet away from the coil. “It is such a stunning thing to watch these nanotubes come alive and stitch themselves into wires on the other side of the room,” he says. Nanotube assemblies are drawn to the source of a Tesla field. Nanotube wires self-assemble under the influence of a directed electric field from the Tesla coil. Lindsey Bornhoeft, the lead author of the paper in ACS Nano and a biomedical engineering graduate student at Texas A&M University, says the directed force field from the bench-top coil at Rice is restricted to just a few feet. To examine the effects on matter at greater distances would require larger systems that are under development. Cherukuri suggests patterned surfaces and multiple Tesla coil systems could create more complex self-assembling circuits from nanoscale-sized particles. Cherukuri and his wife, Tonya, a coauthor of the paper, say their son Adam made some remarkable observations while watching videos of the experiment. Cherukuri and his team look forward to seeing where their research leads. 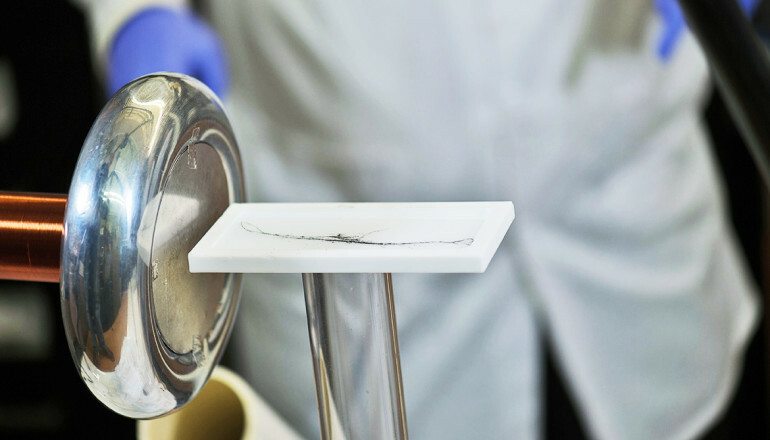 “These nanotube wires grow and act like nerves, and controlled assembly of nanomaterials from the bottom up may be used as a template for applications in regenerative medicine,” Bornhoeft says.